Meet the new Black Baoer 3035 Limited Edition. If you’re looking for a modern fountain pen with a timeless design, this Baoer might be a great option. With a 2mm stub nib, this Black Baoer 3035 Limited Edition offers you an amazing line variation. The Baoer 3035 is a beautiful fountain pen. It has a simple but effective pull-type cap and a metal barrel. This pen weights 27 grams and feels solid. 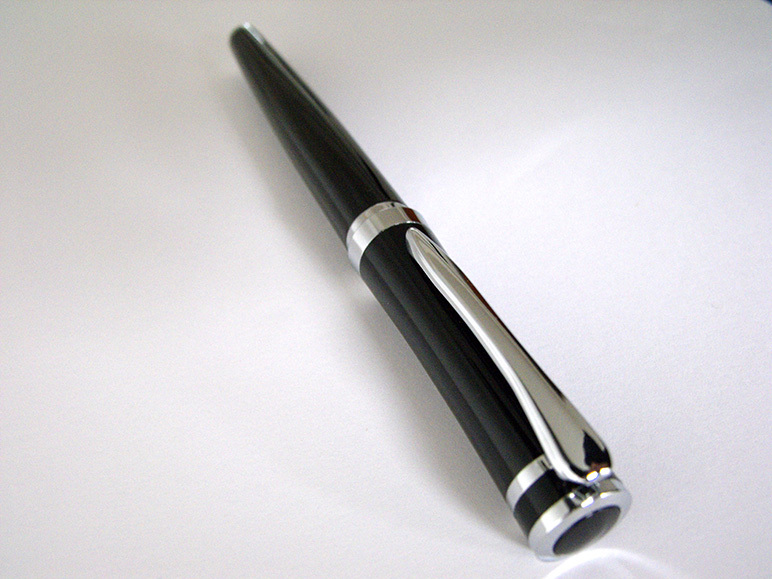 In black with golden trim, this pen looks classic. As most of our pens, this Baoer 3035 comes with an ink converter, but you can also use it with cartridges. What makes this pen unique is the handmade custom stub nib. 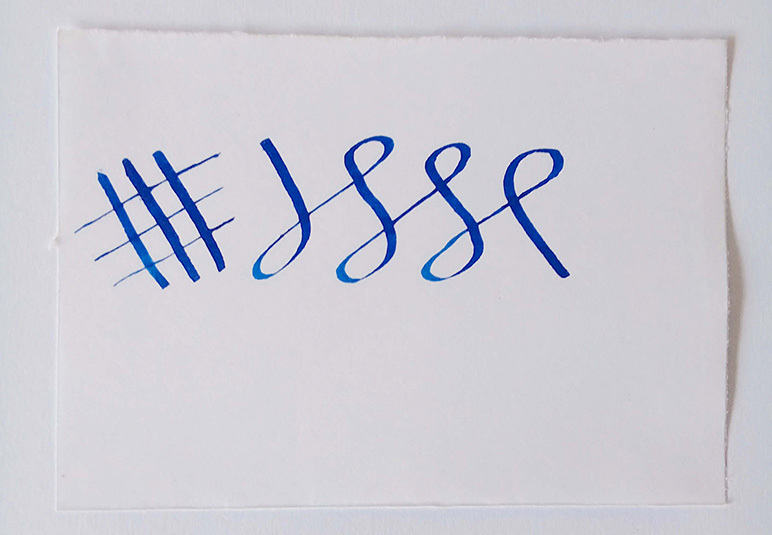 With our 2mm smooth stub nib the handwriting is amazing. This pen offers you a rich writing experience with extraordinary line variation. The feed was fully tested and cleaned to make sure you get the enjoyment you’re looking for when you get this pen. There are lots of great fountain pens in the market, but few are as well-balanced as this one. The weight and size are absolutely perfect, and if you like metal body fountain pens, this one should be on your radar. Inexpens Baoer 3035 is shipped with 2 ink bottles (3ml) so that you can write with it right away. 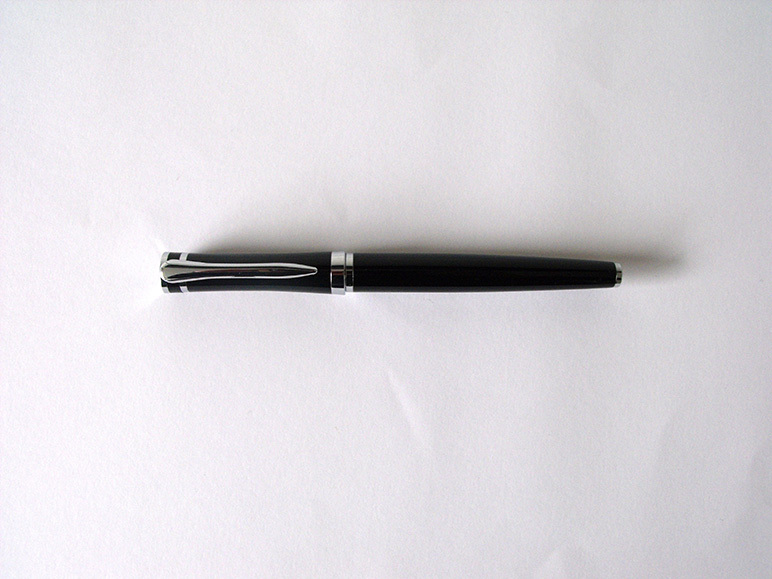 We also include our fountain pen cleaning solution so that you can take care of your new pen for the years to come. If you like what you’re reading, read more or order your new Black Baoer 3035 Limited Edition. If you’re looking for a great pen to use everyday, and to practice calligraphy every once in awhile, this might be a great addition to your collection. I have a blue Baoer 3035 and I love it. All around a pretty solid pen. It is an amazing pen Juan.